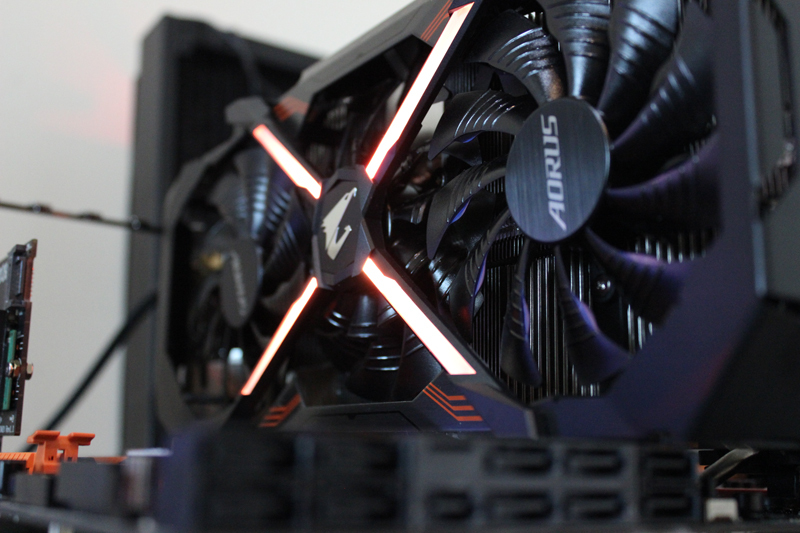 For now, AORUS, much like other vendors, is hoping that their offering will appeal to you more than the competition. Price withstanding the GPU market has become incredibly difficult to compete in. There are simply no margins for vendors anymore with which to differentiate their products. Unlike with gaming cards such as this one, competitive or (extreme overclocking as it’s called) allows for greater differentiation, even if it’s simply giving the end user several controls that are otherwise not available on more mainstream cards. 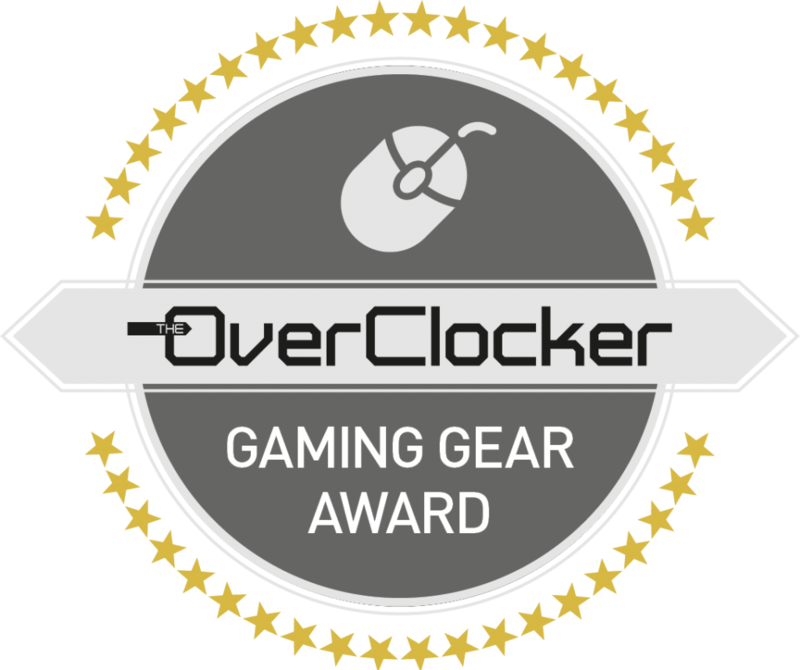 This demographic, however, is small and with the business of GPUs structured as it stands, extreme overclocking is considered too niche a segment to cater to – particularly because creating a competitive overclocking graphics cards costs a lot more than one would think. In the business of margins, it’s simply not viable for many vendors. This is important because the AORUS graphics card is one that in many ways acknowledges this and was designed or created with these considerations (at least I hope it was). For instance, electronically it makes some design decisions that speak to this attempt to strike a balance between a cost effective design and one which would inspire some enthusiasm from the product. It’s a 12+2 phase design which is great on paper (and in practice to some degree), but does this via phase quadrupling. This has the effect of cutting down on the switching frequency for instance. It still provides ample power for the card, but would pose some challenges if used in an extreme overclocking (XOC) context. 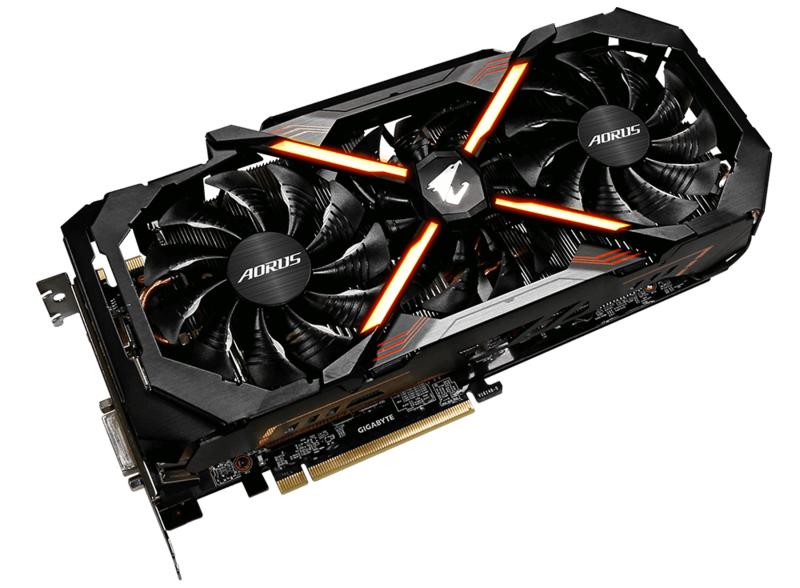 AORUS being the dedicated gaming arm of GIGABYTE (much like ROG is for ASUS), the electronic side of the graphics card is more than adequate for gaming, and as such should not be the focus. 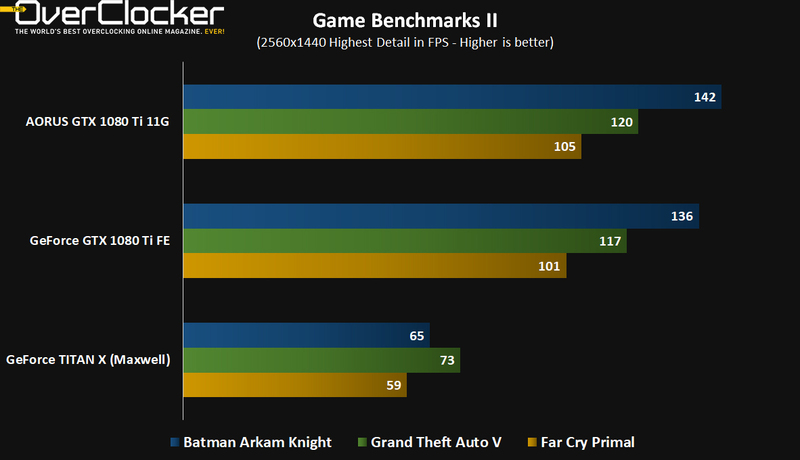 It’ll take your card to the 2GHz mark just as well as any other graphics card based on the Pascal architecture, and certainly more reliably than NVIDIA’s own FE model. In light of this, what is it then, what makes the AORUS GTX 1080 Ti worth your time and money? A few things actually, and we will begin with the heatsink-fan complex. Do not let the plastic shroud fool you, it’s larger than the heatsink and perhaps unnecessarily so, however underneath that you’ll find a solid heatsink complex built from some elaborate mechanics. At its core is a base plate that’s bonded to six composite heat-pipes. These use vapour chamber technology and of course aid in removing heat from the heat source more effectively than traditional heat-pipes, and AORUS claims up to 29% more efficiency. This copper base plate covers the GDDR5X ICs, the GP102 core and the MOSFET area, so all three sections benefit from the heat-pipe cooling. These pipes go through a fairly large fin stack upon which you’ll find three fans. These fins use an angular design that channels air through the stack while increasing the contact area, reducing noise and improving cooling capacity. As stated earlier, differentiation is difficult, thus every bit matters and GIGABYTE has put perhaps most of its energies in here. The card uses three angled double ball bearing 100mm fans like the previous Xtreme Gaming models which proved to be a winning formula before, hence the same design here. These are positioned in a unique way as the fan in the centre is located deeper into the fin stack than two on either side. This central fan also spins in the opposite direction of the others. The idea here is that it decreases turbulence while optimizing airflow. This is hard to test empirically, but the card is whisper quiet under normal operation and even at full speed it is more than tolerable. 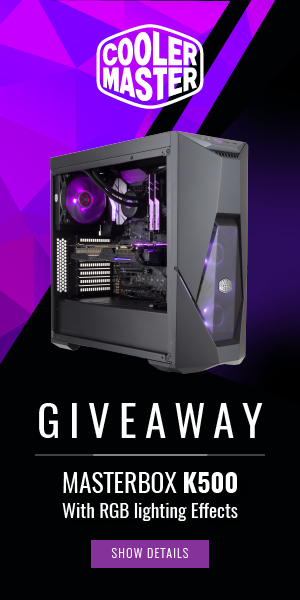 The odds are your case fans will generate more noise. 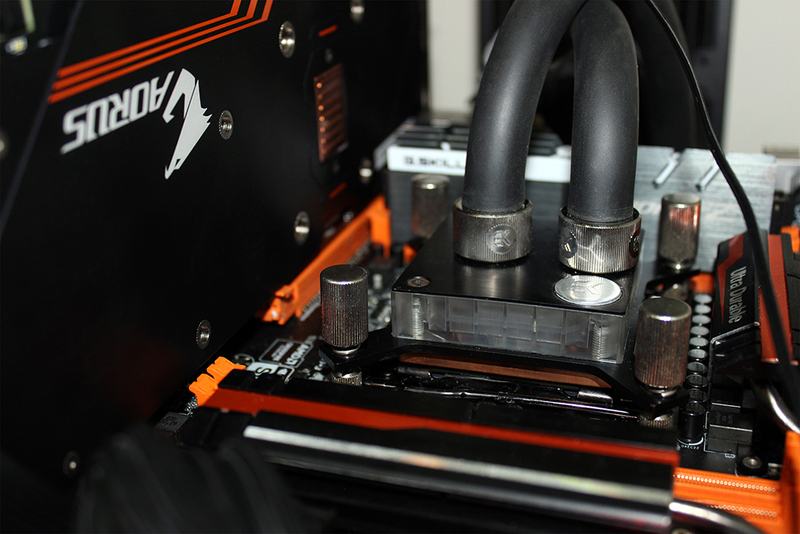 This is an effective cooling method and an evolution of what GIGABYTE featured previously in their WindForce designs. By all accounts, it is the most effective cooling solution GIGABYTE has ever devised and certainly one of the better ones on the market – perhaps the best. That isn’t to say it is perfect though as there can be some improvement in the copper base plate. Its effectiveness is potentially compromised as it must cool both the GPU and MOSFETS simultaneously. Given just how hot MOSFETS get, it compromises the cooling capabilities of the plate. A better solution would perhaps be isolating the GPU cooling from the rest of the board. A separate copper plate would then cover the MOSFETS and DRAM ICs. These would still receive the benefit of moving air courtesy of the fans, but would not be competing with the GPU core for cooling capacity. This would also make sure that mounting a GPU block for “extreme overclocking” or those lone GPU only blocks much easier, eliminating the search for a MOSFET cooling solution which is an absolute must have. 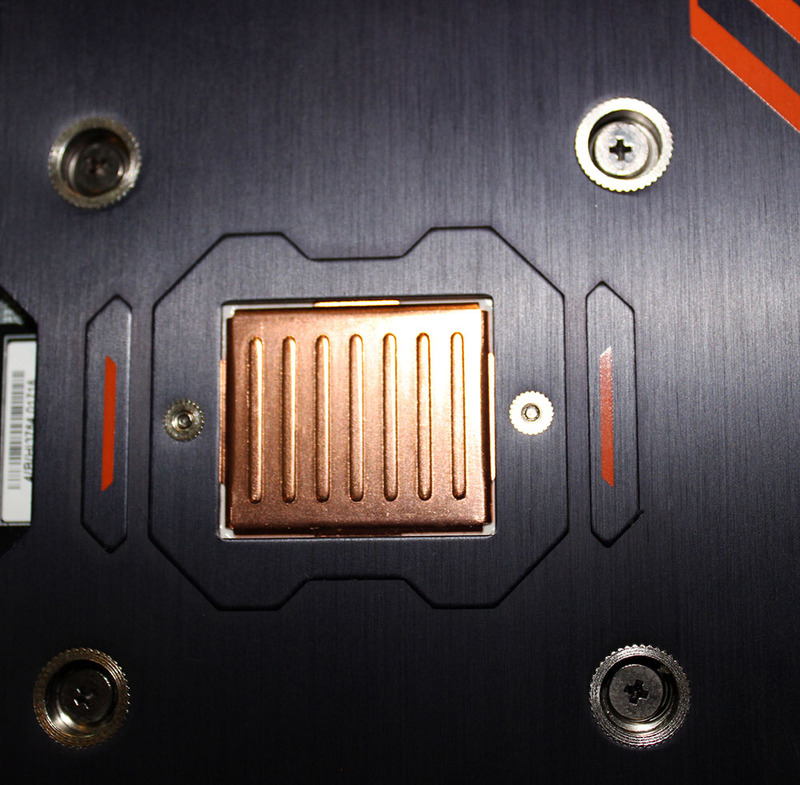 As we proceed to the back of the card, we find a metal back plate which has a copper plate located directly behind the GPU die. This backplate is important and it is imperative that we understand and acknowledge what it does and how it benefits the card past just structural stiffness. The metal plate helps keep the PCB and rear SMDs cool. This is of particular importance directly where the MOSFETS are located. The heat generated by these is often responsible for the highest temperatures on the card. The back plate serves as a means to cool this and it works wonders. Thermal pads aid in cooling as they cover the inductors, drivers and all other components of the VRM/PWM area from the back. One should therefore not remove this backplate as you will not only make your card significantly warmer, but you’ll potentially lose clock speeds while gaming. This plate gets hot to the touch under heavy use and if you had to remove it the heat would end up in the PCB and of course back into the GPU. 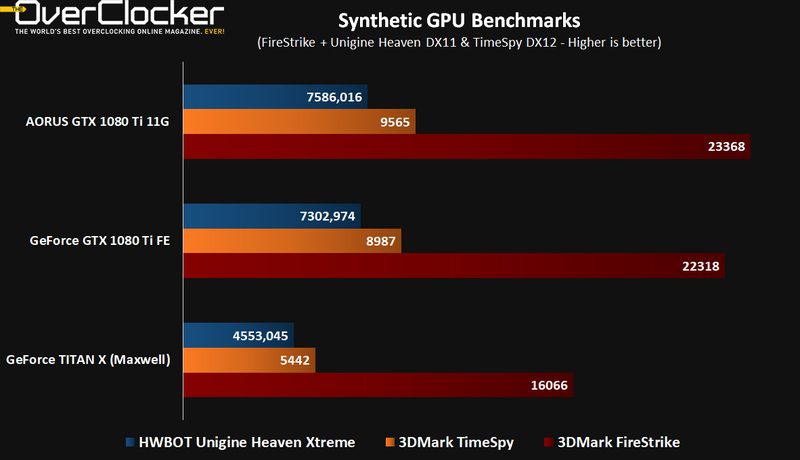 As stated previously, nearly all the innovation has gone into the cooling of this graphics card and it shows. That is manages to operate so quietly while keeping temps under control is beyond impressive. Out of all the GTX 1080 Ti cards one has used, this is by far the quietest of them all. 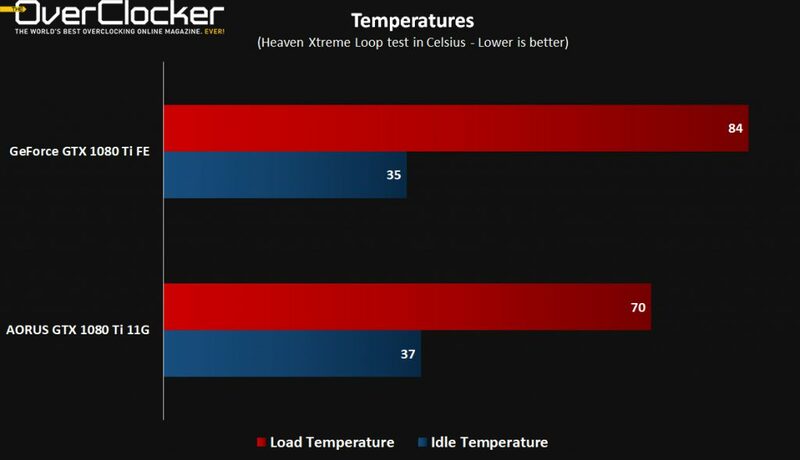 That just about sums up the cooling elements of the graphics card, which leads me to another area where AORUS has forgone the FE design. 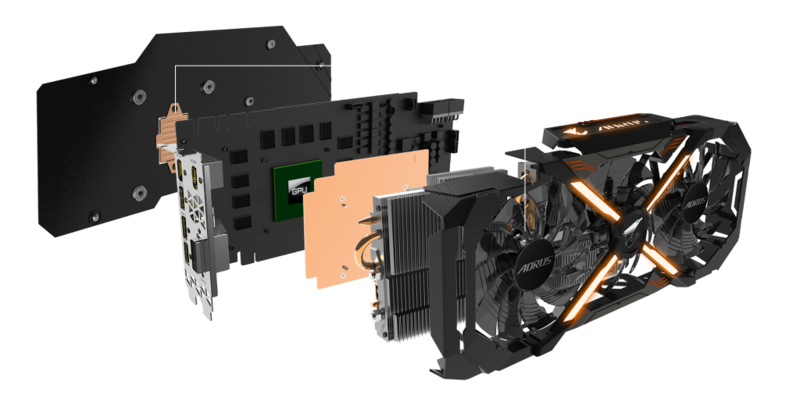 The AORUS 1080 Ti features the most display connectivity options of any of the major competing cards on the market. There’s a total of seven outputs including dual-link DVI, DP1.4 and HDMI 2.0b. Obviously not all of them are useable at the same time. In fact, you may only use a combination of four at a time. How that is broken up is a little detailed, but essentially you can drive in VR-Link mode, three DP outputs and a single HDMI or three DP outputs and a dual-link DVI display. If you fancy three UHD displays simultaneously you can do that as well. So how does it all come together and perform? Well it’s great as you’d expect. It’s not possible to produce a terrible GTX 1080 Ti, but you can make a great one, which is what AORUS has done here. The graphics card is overclocked out the box, so it’s already faster than the Founders Edition and of course the TITAN X (Pascal) graphics card. 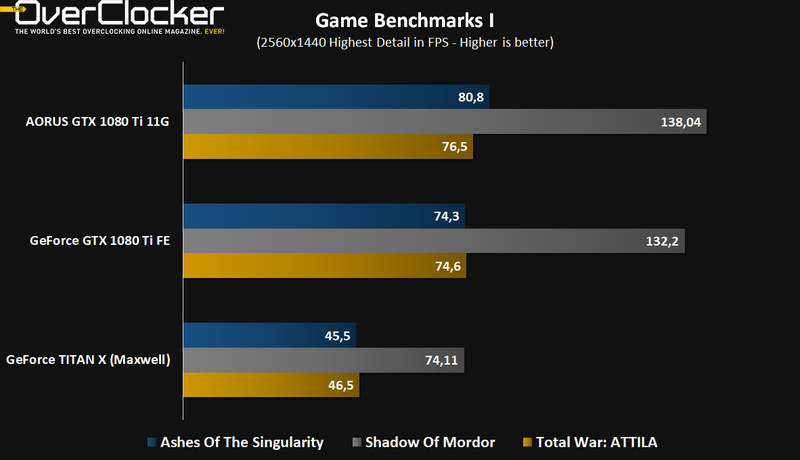 The performance figures reveal as much, with all tested games playable at WQHD resolutions. Clearly, there’s nothing to complain about here. 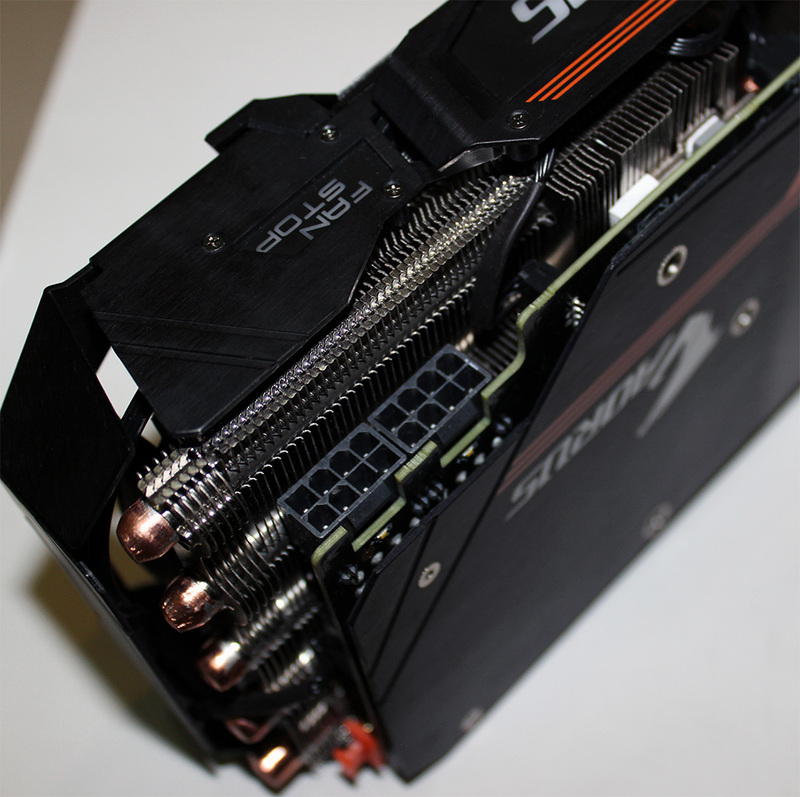 The AORUS card packs a mighty punch and it will not get much faster than this. As you may have deduced, all games were tested with the highest graphics quality settings available and the most advanced API as well. That is to say that where possible, DX12 was used as the API of choice. 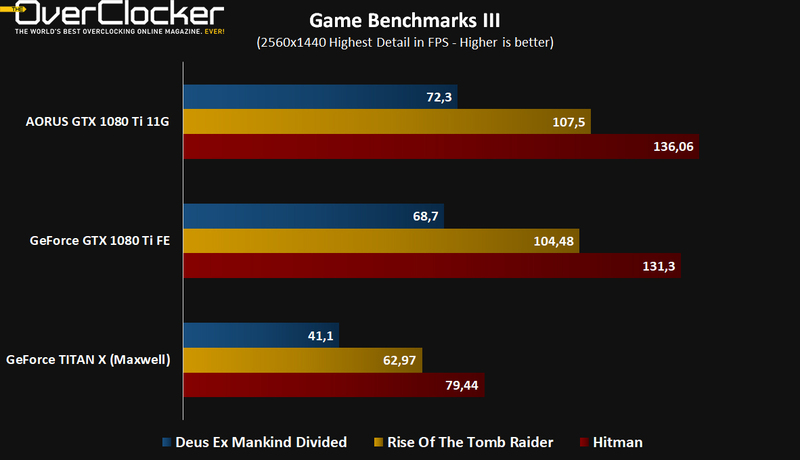 Despite what many have claimed, DX12 performance is strong. There’s simply nothing to be concerned about regarding future title performance. Moreover, there isn’t a single graphics card out there that will make any meaningful difference to your gaming over this model and that includes the $1,200USD TITAN Xp. Add a bit of overclocking to it and it goes that much farther, but at this point it is entirely academic as you’ve more than enough performance as is, with a core boosting to 1,999MHz in some instances. In closing, this isn’t a graphics card for breaking records and for use with liquid nitrogen. Making GTX 1080 Ti GPUs fit for this task is truly difficult and this is not the card for that. Perhaps the Xtreme model would fare better, but we will have to wait and see. You want a powerful yet quiet card that will deliver in every game there is right now and in the future. 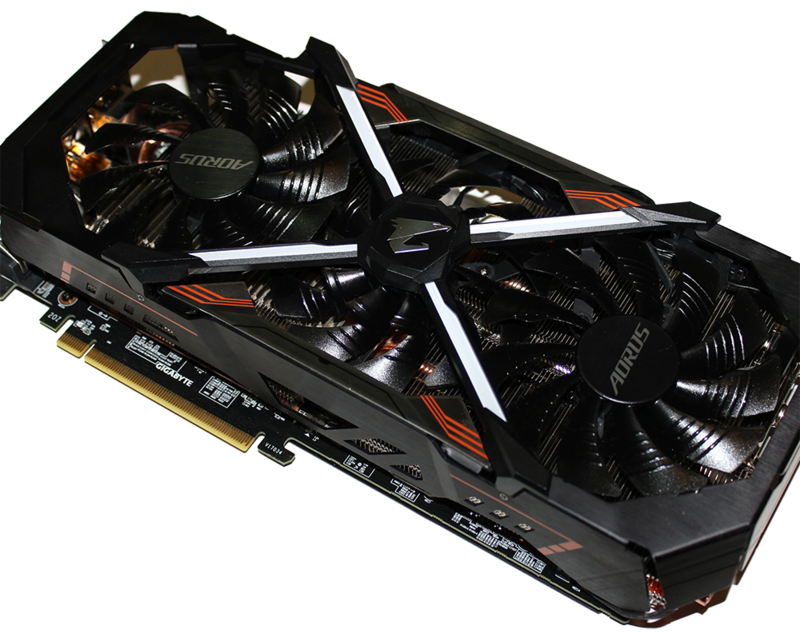 You can’t go wrong with the AORUS GTX 1080 Ti 11G. At the going price, there’s little reason to look elsewhere as it certainly won’t be a significantly better price or performance that moves you. This is about as good as it’ll get for the most part. 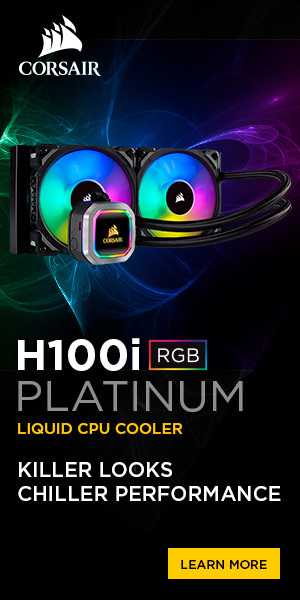 A definite buy here at TheOverclocker.